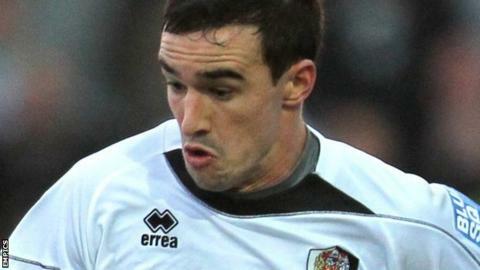 Hereford suffered their second heavy defeat in a row after being soundly beaten at Dartford. Ryan Hayes' left-footed drive from the edge of the area found the top corner to give the Darts the lead. James Rogers doubled the home side's lead when he headed home Hayes' cross from close range. Danny Harris extended the lead to three with a right-footed shot from the edge of the area before a Jon Wallis free-kick found the bottom right corner. "It was a decent performance all round, Defending, midfield and up front, and I'm delighted we've got a lot of supporters through the turnstiles as well. "The two guys up front were very good today, they started well from the kick-off and caused the Hereford defenders problems. "It was a great start (to the second half) and I'm pleased with the reaction from the Gateshead game, we had the work-rate and we put on a really decent performance today."